Ten tips for creating effective images on Pinterest that get results and drive traffic to your blog. You've heard the saying "A picture is worth a thousand words" but did you know it's actually true? Our minds are able to process images faster than they process text. Images can also convey emotional and sensory qualities. That means images can be a powerful and effective way to convey a message. Images are what drive Pinterest. How do you make your images stand out and get noticed? How can you make those images work for you? Well, of course we all love repins and likes on our pins, but even more important is engagement. Ultimately, you want pinners to see your image and click through in order to drive traffic back to your site. Good images can make that happen. 1. Quality - images must be good quality. Images that are visually appealing, well composed, and in focus are an absolute must. Bright images with lots of natural light do better than images that are dark or have harsh shadows created from a flash. 2. Image quality is certainly important, but don't be afraid to use a less than perfect image. 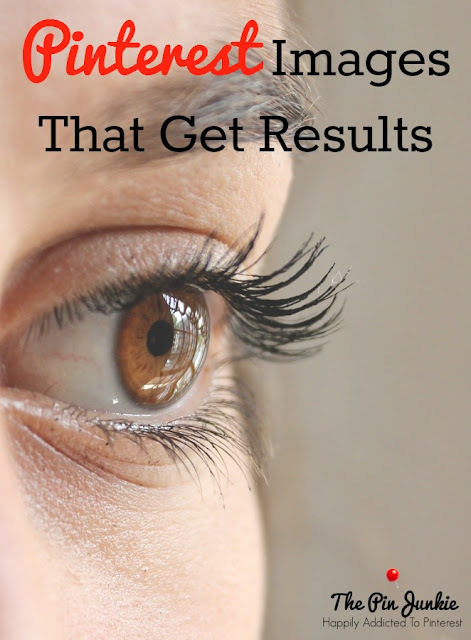 Images should be visually appealing, but they don’t have to be perfect. Sometimes a ideal image of a recipe or craft project can be a little bit intimidating. A novice cook or a non-crafter might be more inclined to pin and try an idea if it isn’t perfect and appears more accessible to the average, everyday person. 3. Convey a clear message - visually the image should be clear, easy to see, and instantly recognizable. Avoid blurry images, or images that are too far away from the subject. Besides being visually clear, images should also be clear in their meaning. Images should relate to the topic and convey a clear message. 4. Be easily seen – long, vertical images take up more space in the Pinterest feed and are easier to see. 5. Typography - Applying text to an image is an excellent way to add to the message or meaning of an image so it is important that the text be easy to read. A very busy or elaborate font may be difficult to read. Also, keep in mind that many Pinterest users are viewing images on mobile devices. Therefore, the image may be seen on a small screen which makes having a good, clear image and easy to read text even more important. 6. 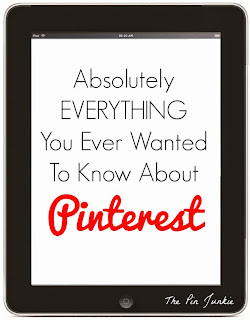 Provide valuable information - tips are popular on Pinterest. Your image should convey in some way that it is linked to important or valuable information. The image could also include several steps or process images on how to do something. Text could include a question to encourage pinners to click through for the answer or to find more information. 7. Capture attention through senses or emotion - this can be done in a variety of ways. For example, images of food should convey the sensory aspects of taste and texture. Or the image should convey an emotional response or make an emotional connection in some way. 8. Images are certainly important. However, Pinterest is flooded with images. Instead of using an image, Try creating a pin with only text. While browsing through so many images on Pinterest, when I see pins with text only, I notice that they really stand out. 9. Follow basic elements of design such as the rule of thirds, balance, line, and color. 10. Use free stock photos - don't worry if you're not a great photographer. You can find plenty of royalty free images online. You can edit them to fit your needs and add your text to the image. If you're finding that your images aren't getting the engagement and click throughs that you want, don’t be afraid to create a new image for your post. Need ideas of great images? Look at magazines for ideas and examples. Browse Pinterest to see which pins have a high number of comments, likes, and repins and look to see what they have in common. So where do I go to create my images? I use PicMonkey to help me edit pictures, make them pretty, and add text. It’s so easy to use and I love it! This is such a great post! I was linking up to your link party tonight and saw this on the bottom! I can always use tips for my pictures! I think of myself as a beginner to blog anything including photography! Thank you!